Nova Scotia's libraries are definitely #CGAware2017! We're so pleased to collaborate with the libraries for Caregiver Awareness Month again this year. 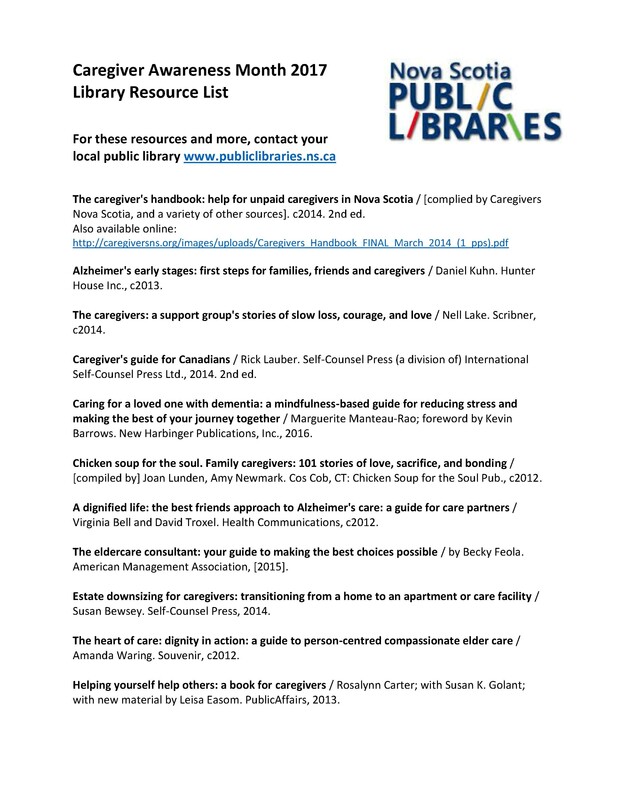 Not only will some branches feature special caregiver awareness content on display monitors, Nova Scotia Provincial Libraries has compiled a multi-media list of Resources for Caregivers, including books, documentaries, websites, and more. Click the image below to access the full list. If the resource you want isn't available at your local branch, you can request it through inter-library loan.